The Cocktail-JAM Kit is a TAMA original in both appearance and sound. Its ideal for hip-hop, jazz, intimate acoustic settings, and tight rehearsal rooms. 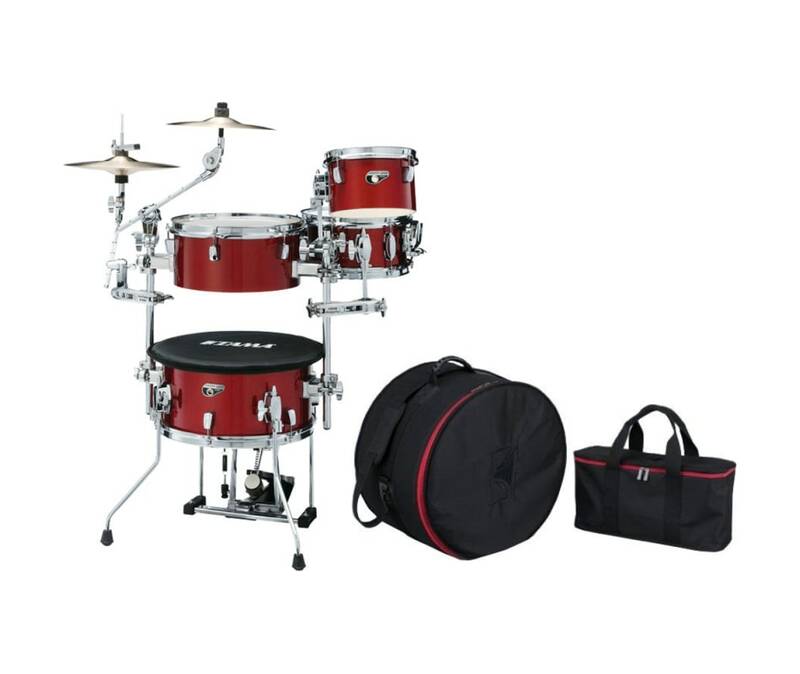 Completely compact, this kit can easily be set up and played using a throne in spaces much smaller than a typical drum set. Additionally, the Cocktail-JAM Kit and its hardware can be easily packed into just two bags (included with the kit), making it super portable and easy to transport to any gig.